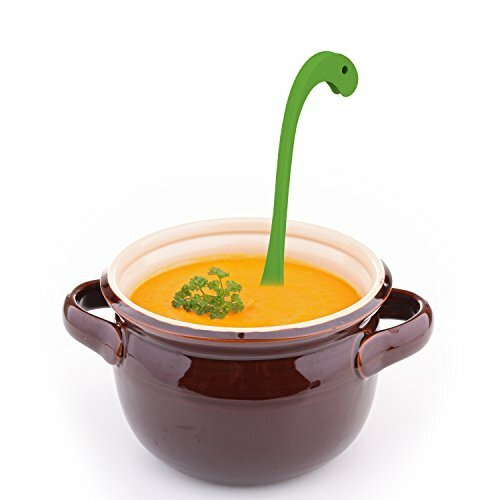 Dinosaur Soup Ladle - Moar Stuff - You don't need it but you know you want it. 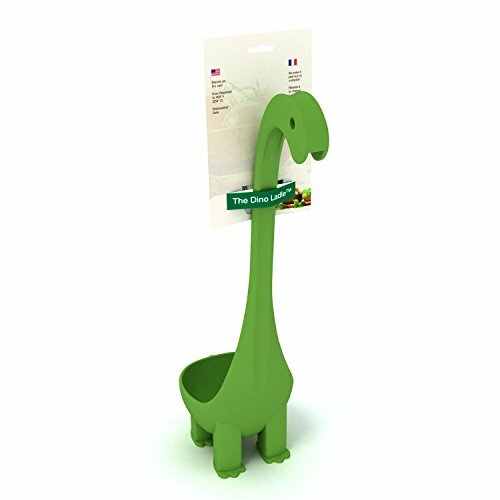 Remember in the 70’s when they thought the Brontosaurus (yes, Brontosaurus) lived in swamps to support its weight? 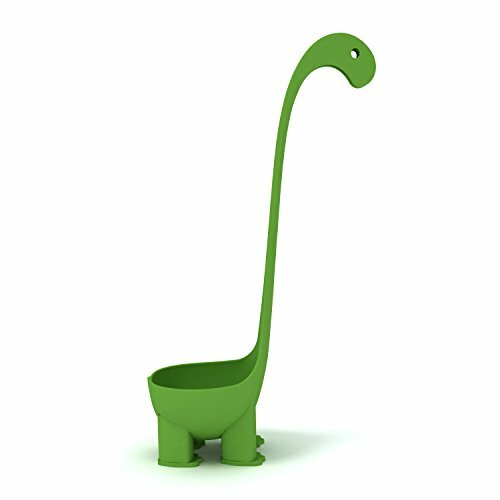 Well, this Dinosaur Soup Ladle proves that while they may not have lived in swamps, they definitely would like to wade around in soups. 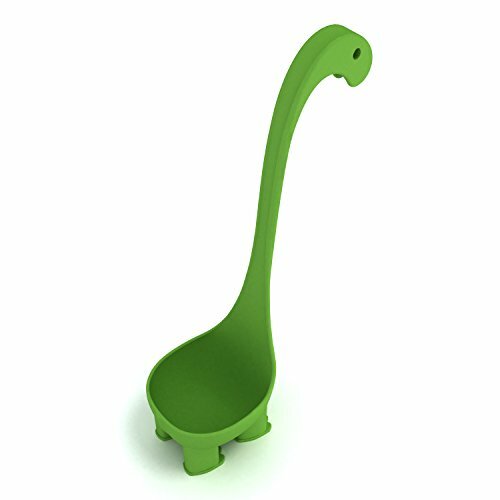 This non-toxic, food grade Nylon ladle holds 6 oz. of liquid (preferably soup) per scoop. 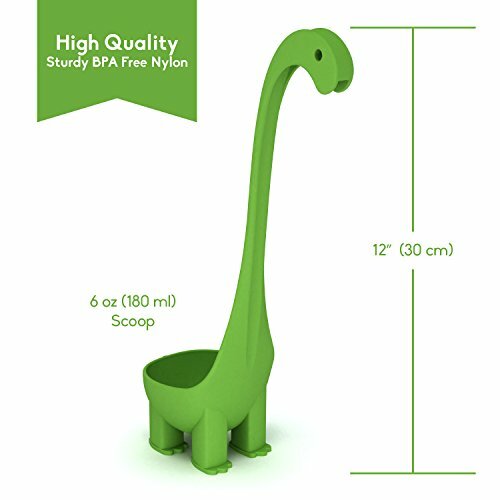 It’s green, stands upright on its own tiny legs when not in use and is cute as hell. It’s great for when you’re teaching kids to cook and for serving at kid’s parties. 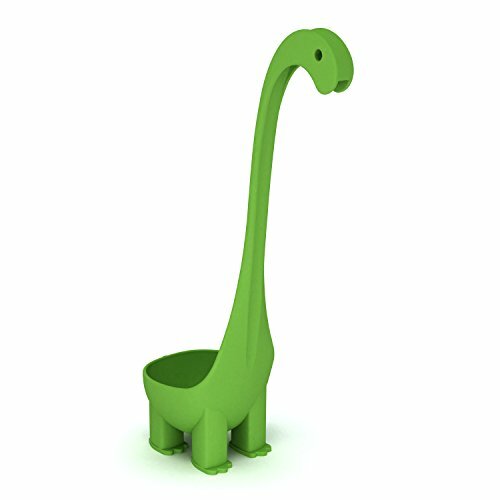 Also, it’s a cool gift for guys because, let’s face it, we never outgrow our love of dinosaurs. Dimensions: 12 x 3.2 x 2.2 inches.